There’s a feature that I really want to be included in my technology-assisted review platform. It would be so easy to implement. The feature I want works almost the same way, but it enlightens instead of annoys. Review team members determine which words get links and what information pops up. I want my team members to be able to select and right-click on any significant case-specific word or phrase (e.g., a technical term or a name) and create a custom annotation. Then, wherever that word or phrase appears anywhere in the documents, it would have a faint underscoring, and any team member would be able to pop up the annotation (but only intentionally) and instantly get up to speed on the term’s significance. These annotations could be crowdsourced, moderated or curated, wikified, whatever. Different users could have different permissions or not. As a corollary to the same wish, I’d like the platform to provide the ability to import a handmade custom case dictionary (as described in an earlier post), where the words defined in the dictionary would be underscored in the documents and the definitions would appear in the pop-ups. Pernicious adware makers have the technology. Why can’t we? I think that is a pretty interesting idea. I don’t see why we couldn’t add something like this. Thanks for the suggestion. We follow your blog closely, and find it very useful. Thanks. In this post from July, you had discussed the need for custom annotations on highlighted keywords. I am delighted to say that we have added this feature to our product as part of Highlighted Keywords which was recently released in version 3.5.8 of Zoom for E-Discovery. This feature enables users to create user-defined keywords which can be highlighted in specified colors to help the user identify relevant files while tagging in Relevance. 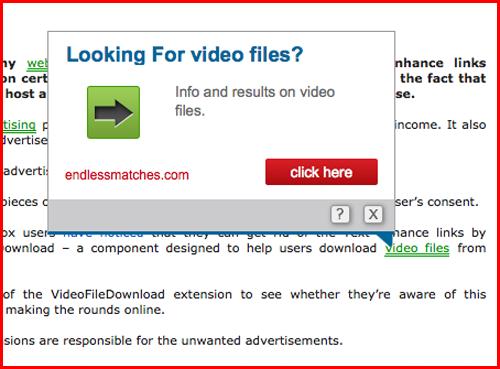 A popup displays the keyword’s description (or custom annotation), if one was given, and is indicated by a double underline. That’s great news! I’m looking forward to trying it out ASAP. Building shared knowledge among review team members makes their review more efficient and accurate. It also promotes the reviewers’ professional development and makes the review process engaging instead of stultifying. I hope that this new feature will lead to other related enhancements.